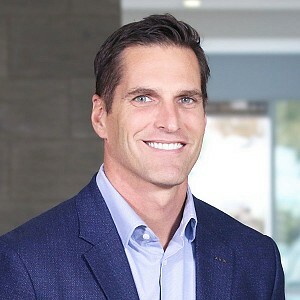 Josh Romney is the founder and President of The Romney Group, which owns and operates multifamily, office, and industrial properties throughout the US. The Romney Group is headquartered in Salt Lake City, UT. Josh is also the Chairman and CEO of Intercap Lending, based in Draper, UT. Intercap is direct Fannie, Freddie, Ginnie seller/servicer and is licensed in 43 states. The company has over 200 employees operating in five states. Josh also serves as President of Charity Vision International, which partners with local doctors in developing nations in an effort to establish permanent and sustainable eye care programs. The organization currently performs over 80,000 surgeries annually in 28 different developing countries. He also serves as an Executive Board member at the Romney Institute at Brigham Young University. Josh worked on his father’s presidential campaigns in 2008 and 2012, working with both the political and fundraising teams. In addition, he spoke at hundreds of events as a surrogate for his father. He earned an undergraduate degree in English from Brigham Young University in 2000 and a master’s degree from Harvard Business School in 2005. Josh currently lives in Holladay, Utah with his wife, Jen, and their seven children.